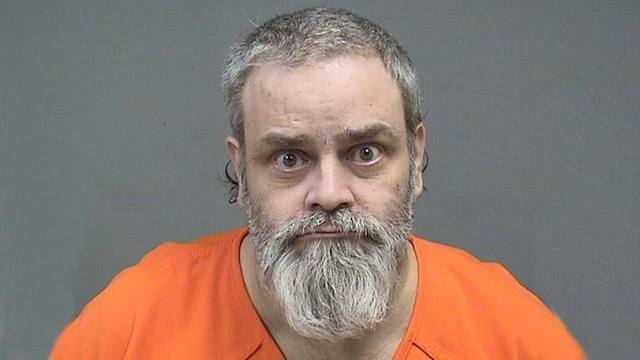 AUSTINTOWN, Ohio (WKBN) - A woman told police that her husband hit her in the head with a gun and tried to set her on fire on Tuesday. A person walking by the couple's home in the 2400 block of Amberly Street called police around 5:45 p.m., reporting a domestic incident. Police also received a call from a family member of the victim, saying the suspect, Kirk Miller, had a shotgun. Officers surrounded the home, and Miller surrendered to police, according to a police report. Police said Miller's wife had a cut on her forehead, and she told them that Miller hit her in the head with the shotgun. She reported that he also lit a piece of paper on fire and threw it on her, saying he was going to "put her out of her misery," according to the report. The woman said the paper then landed on a blanket and caught it on fire, but she was able to put it out with a bottle of pop. The woman told police that Miller was mad because she was trying to leave him. She said he tried to prevent her from leaving and took her phone, according to the report. Police noted that there was a fresh burn hole in a blanket with burnt pieces of paper scattered on the bed. Officers arrested Miller and seized two guns from the home. Miller is charged with felonious assault, aggravated arson and abduction.